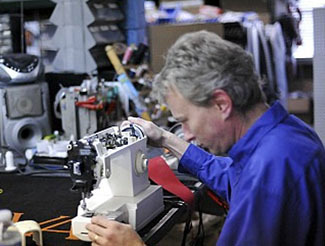 Augusta Sewing Center’s trained and certified team of expert technicians repair and service not only BERNINA and BABYLOCK machines, but also any make sewing machine you may have. Additionally, we can repair and service your vacuum and carpet cleaner too! Bring your Oreck, Dyson, Hoover, Electrolux, Royal, Sanitaire, Dirt Devil, Rug Doctor, or any other commercial or residential machine to us. You can trust our team to take the utmost care of your machine all while providing you with excellent customer service. Plus, all repairs are done right here in-store; we never send our repairs out to another location!